The live streaming of RCB vs MI IPL 2018 match will be available on the portals of Star Sports, Jio, and AirTel. The upcoming Indian Premier League will be played from March 29, 2019, to May 19, 2019. It could be held in South Africa or United Arab Emirates (UAE) due to Indian General Elections. The below will be updated timely as it is subject to change. Before today’s match, Royal Challengers Bangalore stands at number 6 in the IPL points table due to better run rate than Mumbai Indians. Both of them have collected four points and played seven matches each. Out of those seven games, both of them have won two and lost five. Delhi Daredevils is at the last position. Today IPL t20 match between Bangalore and Mumbai will start at 8 pm IST while the toss will take place at 7:30 pm IST. The 30-minute time gap is given in all matches to the teams to get the match going on the ground. MI vs RCB is the 31st of 60 games to be played in the entire tournament in this edition. On TV, the audience can watch it on Star Sports network channels. For English commentary, the television channels are Star Sports 1 / HD and Star Sports Select 1 HD. If you are comfortable with Hindi, then channels are Star Sports 1 Hindi / HD for latest ball by ball updates. 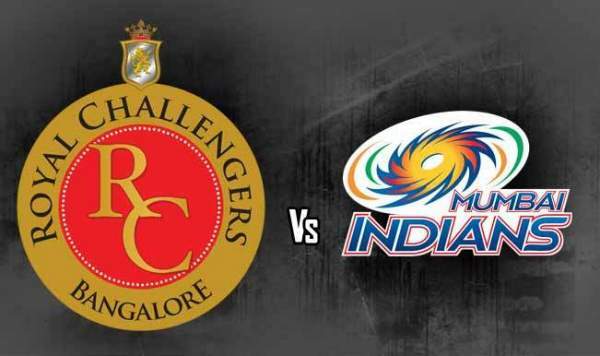 It’s the home match for Royal Challengers and is scheduled to be played at M Chinnaswamy Stadium in Bengaluru. Both the sides have been struggling since the start of IPL season 11 and will fight for their survival further in the tournament. Only a few handful of games are left until the next round of play starts. And the fate of both the teams seem unclear. MI has arrived here after beating Chennai Super Kings (CSK) at their new adopted home ground in Pune. So, it will like to carry forward the winning momentum. While,RCB has arrived here after facing two consecutive defeats against CSK and Kolkata Knight Riders. RCB’s confidence seems to have been broken. However, Bengalore will have to play out fo their skins to stay in the competiion. It’s going to be a high octane clash. So, don’t forget to miss out. Royal Challengers has a list of strong and seasoned batsmen like Virat Kohli, etc. So, it will boast of its batting lineup.